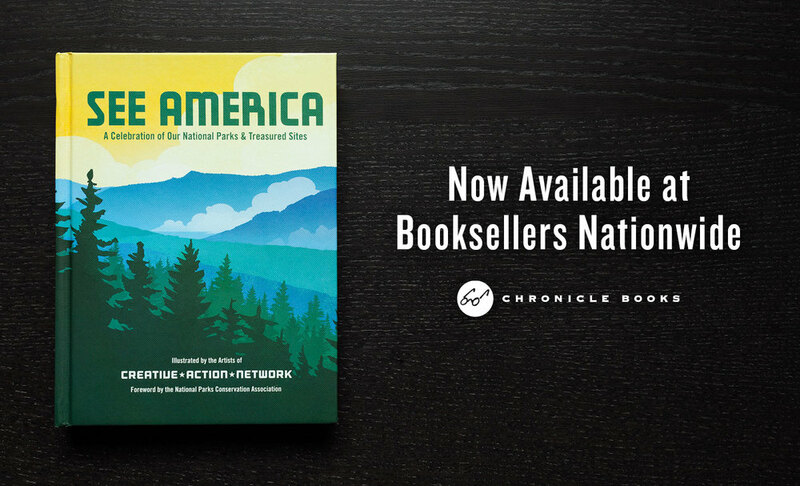 Now, Just in time for the 2016 centennial anniversary of the National Parks Service, Chronicle Books has published See America — the book! Featuring artwork for 75 national parks and monuments across all 50 states, this engaging keepsake volume celebrates the full range of our nation's landmarks and treasured wilderness. Proceeds from the sale of the See America book support the National Parks Conservation Association. The Creative Action Network and National Parks Conservation Association have partnered to revive the legacy of the New Deal art projects, inviting artists & designers from all 50 states to create a new collection of See America posters celebrating our shared natural landmarks and treasured sites. Stylized from my own photographs, these posters celebrate my love for our national parks in Texas and contribute to the collection of other artists’ work in support of our parks and wild spaces.